Can hurt your horse, especially when it's inside the hoof. This is why you want to get those hooves x-rayed for any persistent/chronic/recurring abscess or foot pain. PO occurs when there is infection or inflammation/bruising in the foot occurring near the coffin bone. The process in the hoof can erode or demineralize the bone, which is officially Not Good. Well, a horse can lose up to 25% of the pedal bone and still perform athletically. But the process that compromises the bone needs to be stopped. PO is more a symptom than a diagnosis, and the success of the treatment depends on the cause and how readily the cause can be addressed. There are two types of PO: septic and non-septic. They are treated differently. All of these things can cause an infection and/or abscess. Hopefully it'll drain and go away, but sometimes it doesn't drain, or if the foreign matter is not expelled, it drains and recurs. A chronic infection near the bone can cause it to erode/demineralize, or the bone itself can become infected (I'm not sure if the latter case is actually PO). How is septic PO treated? The treatment is usually to surgically debride and clean the infected area of the hoof, and/or administer antibiotics through a technique called perfusion ( a tourniquet applied to assist the meds in going into the hoof). Expect a long-ish recovery time for this treatment. This is what we think Riley has, and thank goodness it was caught very early. Nonseptic PO is bone erosion due to inflammation, but not necessarily bacterial infection. The most common cause of nonseptic PO is repetititve concussion or perhaps a traumatic injury (non-penetrating) that causes bruising. A severe or chronic bruising can result in a hematoma. Dead blood can provide a great "home" for bacteria, which is one area I'm frankly a bit fuzzy on. If there is bacteria, is it non-septic? Anyhoo, the treatment generally is to stop the trauma or concussion and let the affected tissue grow out. If there is dead bone, or very diseased tissue, surgical debridement may be indicated. What's the prognosis? It depends on how effectively the concussion to the hoof can be reduced or eliminated. If you ride on hard ground, stop! 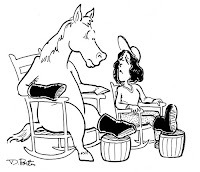 If your horse is barefoot, put shoes on. For a competitive jumper whose career depends on the ability to withstand concussion, there may not be much that can be done. PO can be the end of a career or the beginning of a new, less strenuous career. If the bruise was caused by one-time trauma (e.g., stepping on a stone), the prognosis can be very positive. The PO on Riley's radiographs is certainly less than 25% of his bone -- more like 5 or 10%. I'm kicking myself for not putting shoes on Riley. I wanted to buy his feet time to grow and expand in the barefoot tradition. At any rate, the surgery will be scheduled sometime early next week. Very informative - thank you! Good luck to you and Riley in his treatment. I love your blog and nominated you for an award. It's on the Simply Sammie page. I hope Riley's surgery goes well- you've been so devoted to him. Some horses seem fine barefoot and others...no way. But that also does not mean Riley developed his bruise from NOT being shod. Don't second guess yourself. You have, I am sure, always tried to do the best you can for your horses. No one can ever do more. Wishing Riley a speedy recovery. That is very rough. I know you two will come through it together. All the best to Riley and yourself! On another note, you have a blog award on my blog. I remember my dad took me to a farm to ride a horse when I was about 10. I had never been close to one until then but I remember that I didn't think the horse looked healthy. I remember it's hooves looked 'out of shape'. I didn't ride it because I felt sorry for it. I really wish people wouldn't have animals they aren't willing to take care of! Ah, sage speaks, and in the cloak of anonymity!!! "Indeed, a 1984 University of Zurich (Switzerland) dissertation by Luca Bein demonstrated that a hoof wearing a steel shoe lacked 60 to 80 percent of its natural shock absorption; it also showed that a shod hoof walking on asphalt received triple the impact force as an unshod hoof trotting on the same surface." "Equine hoof function investigated by pressure transducers inside the hoof and accelerometers mounted on the first phalanx. In a nutshell, this study was performed in order to determine the differences in the forces of impact between a shod hoof and an unshod hoof. In this study, horses were trotted in hand with shoes on, then again trotted in hand after shoes were removed. The shod hooves had greater acceleration force, higher frequency of vibrations, and longer pressure release in the shod trials. The study concluded that the hoof expansion in the barefoot trials allows for more rapid release of pressure within the hoof. The barefoot horse was much better able to reduce the effects of impact, absorb and dissipate more of the forces than a shod foot." In 1984, the Swiss Cavalry conducted research into the effect of shoeing. Studies showed that the impact force a shod hoof receives on hard ground is 10-33 times that of an unshod hoof. The vibration in the hoof from the shoe is approximately 800 hz. This level of vibration is high enough to destroy living tissue." While useful to test a narrow hypothesis, scientific studies control for outside influences to the point that the results may not apply in the real world. We've come a long way since 1983, it pains me that people are dragging out those old studies, however classic, when we're learning so much more now. Why not consult veterinarians at the top of their field -- whose career combines research AND fieldwork? 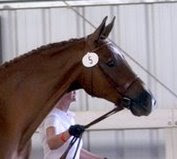 Do a search of the AAEP publication, Thehorse.com and type in barefoot. It ain't so clear-cut. Being barefoot is not a panacea; correct hoof function is. You dismissed the significance of Riley not landing consistently heel first. I think you need to look up the definition of panacea. Nuf said on this topic! panacea: a remedy for all ills or difficulties ~ Merriam-Webster, and precisely what I meant. 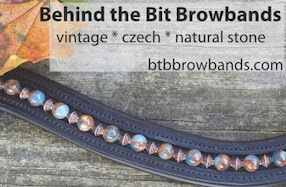 Not all barefoot trims are equal. Average pasture trims do not allow proper hoof function or development. Just letting a horse grow up barefoot doesn't ensure correct hoof function or development. 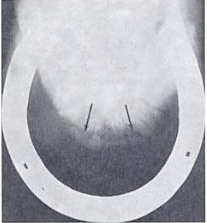 The lack of consistent heel-first landings was an indicator of imcorrect hoof function.